Yesterday, with much rejoicing, we promoted Viewer 3.7.28.300918 (Tools Update) to release. While this Viewer doesn’t have a shiny new featureset on the surface (other than reverting to a single-button login), it’s what’s inside that really matters - we’ve updated the numerous tools used to build the Viewer. The immediate expected effect of this is performance stability and a decreased crash rate. 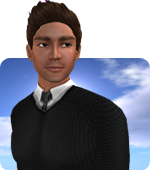 We go to great lengths to maintain backwards compatibility in Second Life, both to never break users’ creations and to support the wide range of systems our Residents use to log in. However, sometimes we have to make the hard decisions: a year ago we announced that we were dropping support for Windows XP and Mac OSX 10.5 & 10.6 (a complete list of current system requirements is available here). Today, with the Tools Update release, the Viewer will no longer run on those systems. You will still be able to log in with an older Viewer until it is aged out based on our deprecation policy, however we strongly recommend updating your system. It's unfortunate that we have to stop supporting some older systems, but upgrading the tools we use to build the viewer will help us to bring you other improvements to your Second Life experience more quickly and reliably.